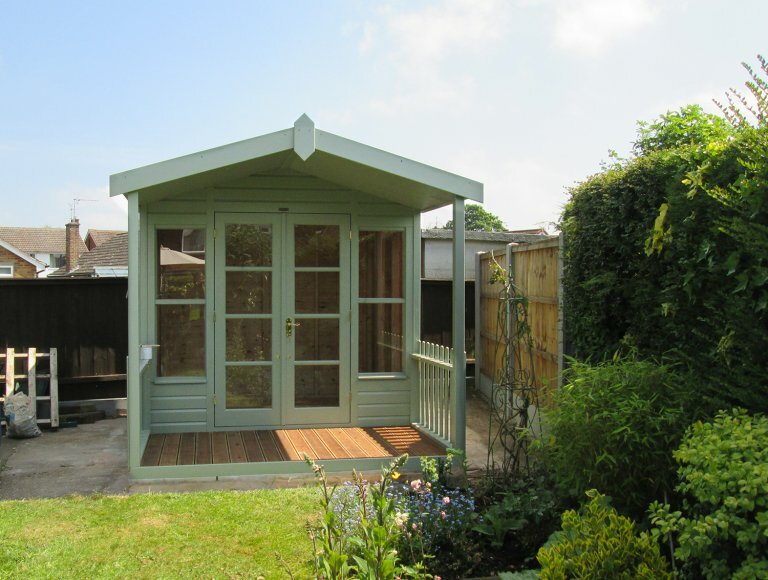 Measuring 2.4 x 3.0m, the Summerhouse is the ideal size for two people wanting a small sanctuary to retreat to at the bottom of their garden. The customer has placed her summerhouse facing her shrubbery, which makes it the perfect spot to sit back and watch the local wildlife. 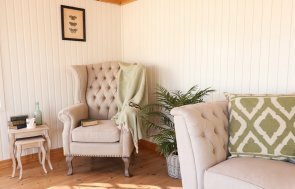 Externally, the summerhouse is clad with smooth shiplap and enjoys a small veranda leading from the double door entrance beneath an overhang that will provide shade in the summer and shelter during the winter. The timber is coated with our exterior paint in the shade of Lizard, which was the choice of our customer made from a vast array of options. 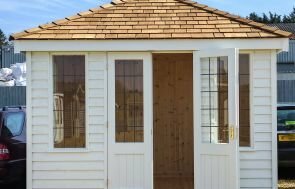 If you like the look of our charming Morston Summerhouse, why not pay us a visit at your nearest showsite, where you can wander around up to 25 different buildings and speak to a friendly advisor about your own requirements. Your nearest showsite may be located at Trentham Gardens, also located in Staffordshire. Alternatively, you may wish to contact us from the comfort of your own home by getting in touch with us.